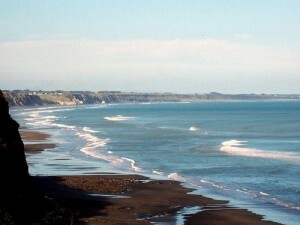 Wanganui is protected from wind and extreme weather conditions due its location within the South Taranaki Bright. The city enjoys a temperate, pleasant, climate throughout the year, and records an average of over 2,100 sunshine hours and 900mm of rain yearly. Average air temperatures range from 6°C in winter to 21°C in summer. Summers are warm, usually stretching to cover six months of each year (Sep – Feb). Winters are mild due to the closeness of the city to the sea.